that is under construction nowdays. sonars is then used in the navigation desitions. electromagnetical noise from the motors. Motion control is done with two modified servo motors. 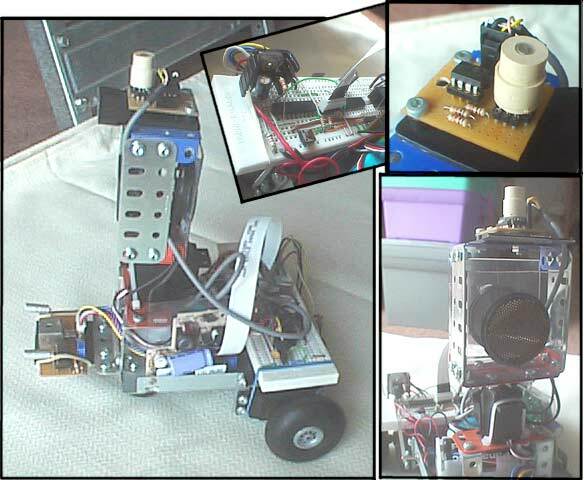 different PIC microcontrollers for the different robot modules. HT-PICC compiler, a superb compiler. using the sonars and then uses the IR "eye" to avoid any obstacles. teddy and toys in front of it to force a new path.